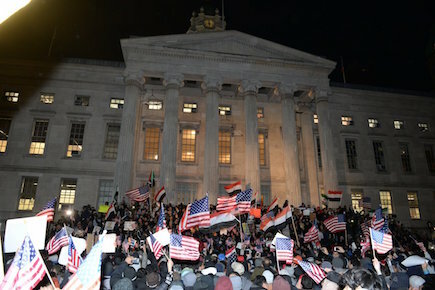 Ali Cinar- Brooklyn, NY - Over 1,000 Yemeni owners along from other Ethnic Communities from across the five boroughs joined the elected official leaders at a rally outside Brooklyn Borough Hall against President Trump‘s ban on travel from their native land. Many of them has closed their stores to show their disappointment to the Trump Administration. There were also many banners and signs of Support #MyYemeniNeighbor and We #UnifyANDDefy at the rally.